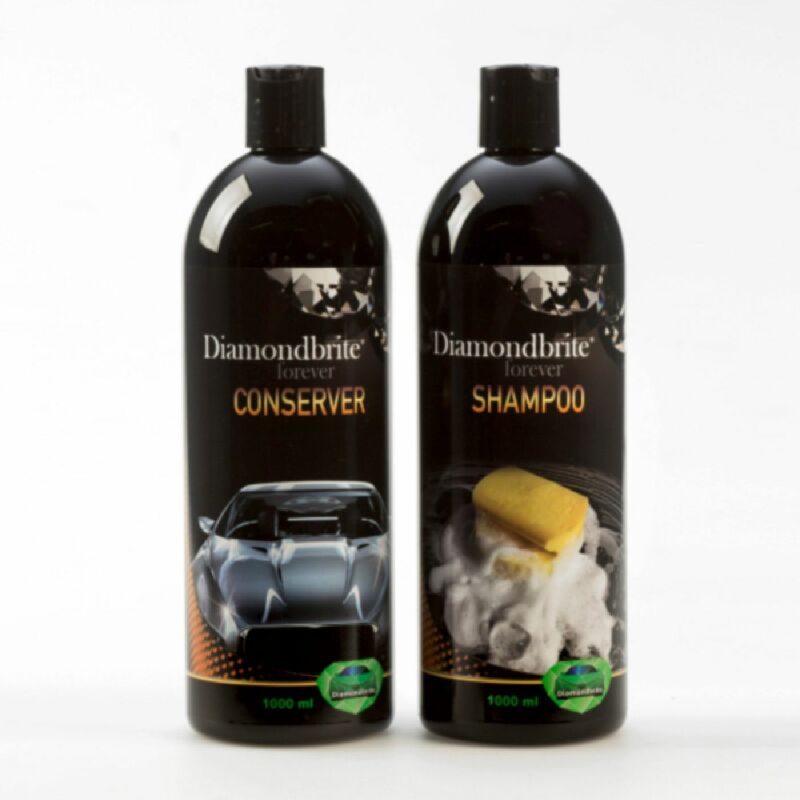 In addition to a 250 ml Diamondbrite Shampoo and a 250 ml Diamondbrite Conserver, this pack also contains the following: Screenwash 500ml; Rainscreen 100ml; Aerosol Upholstery Cleaner 500ml; and Sponge. 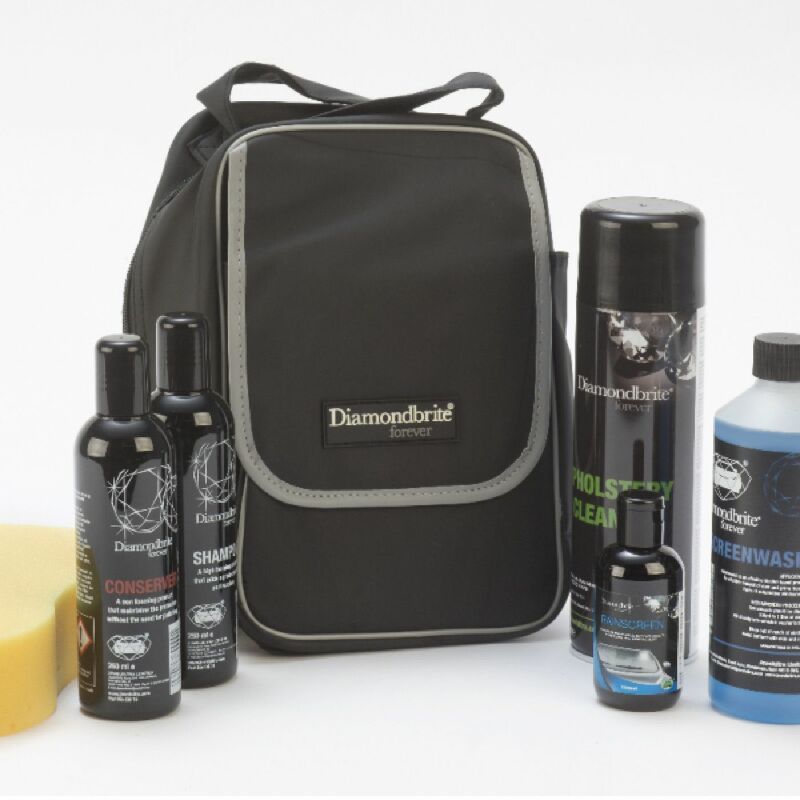 All contained within a bag for easy storage. 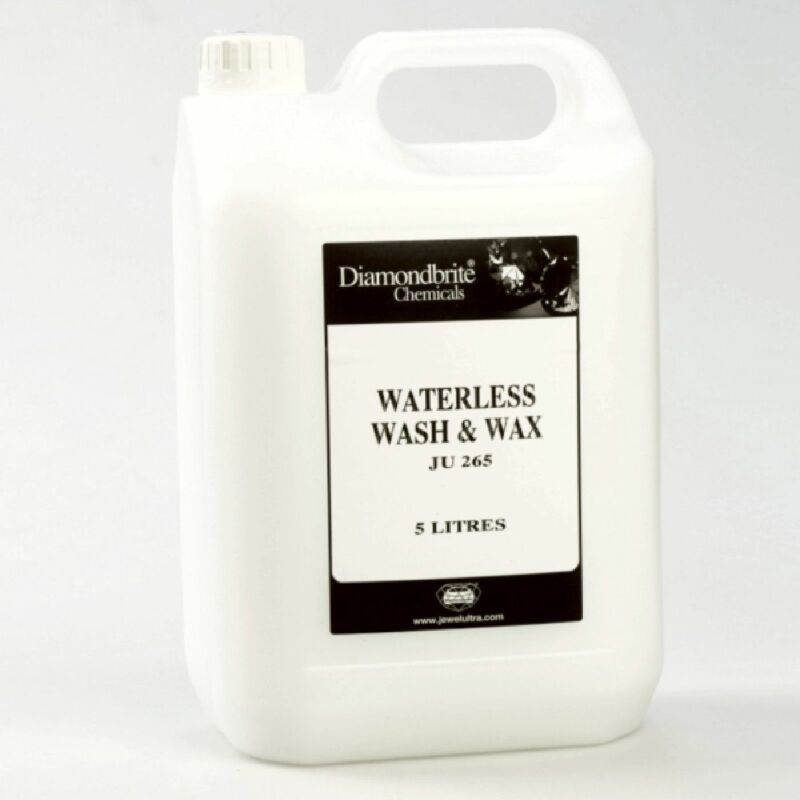 Wash & Wax cleans and polishes without the need for water. 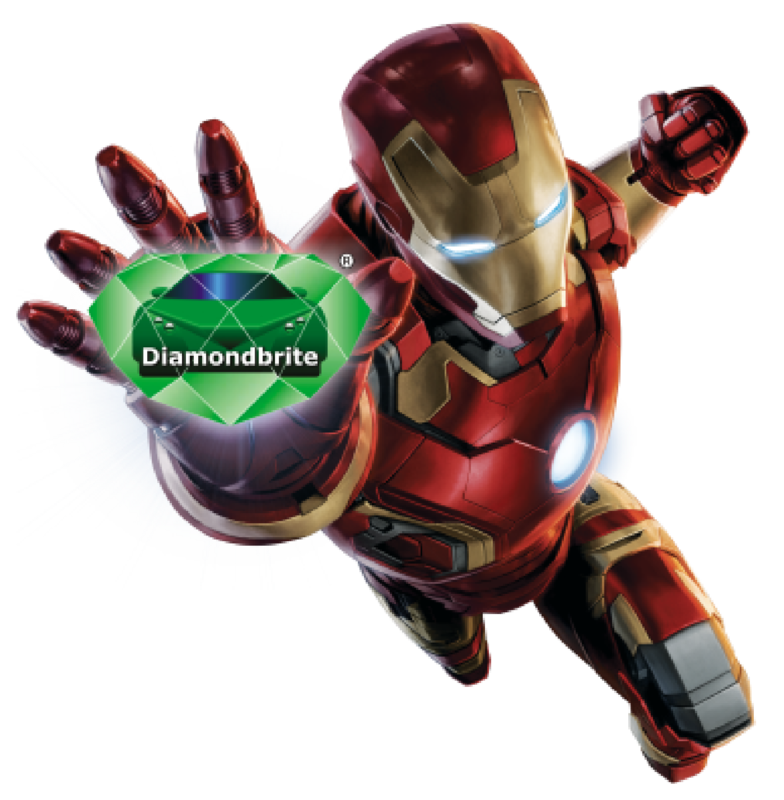 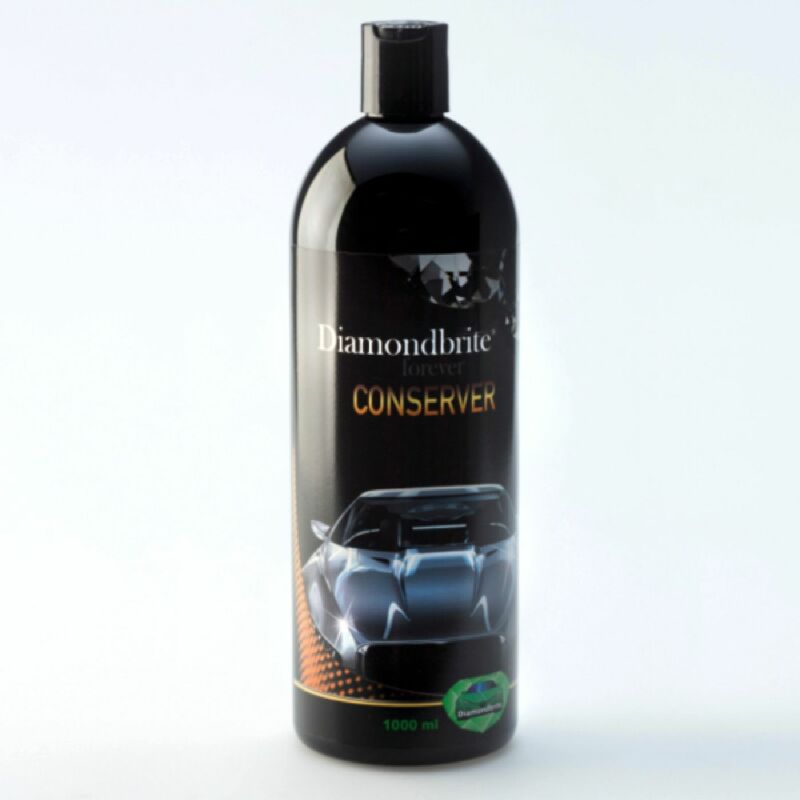 Diamondbrite Speedy Wax is a liquid cream polish which when sprayed on & wiped off, produces a deep long lasting shine. 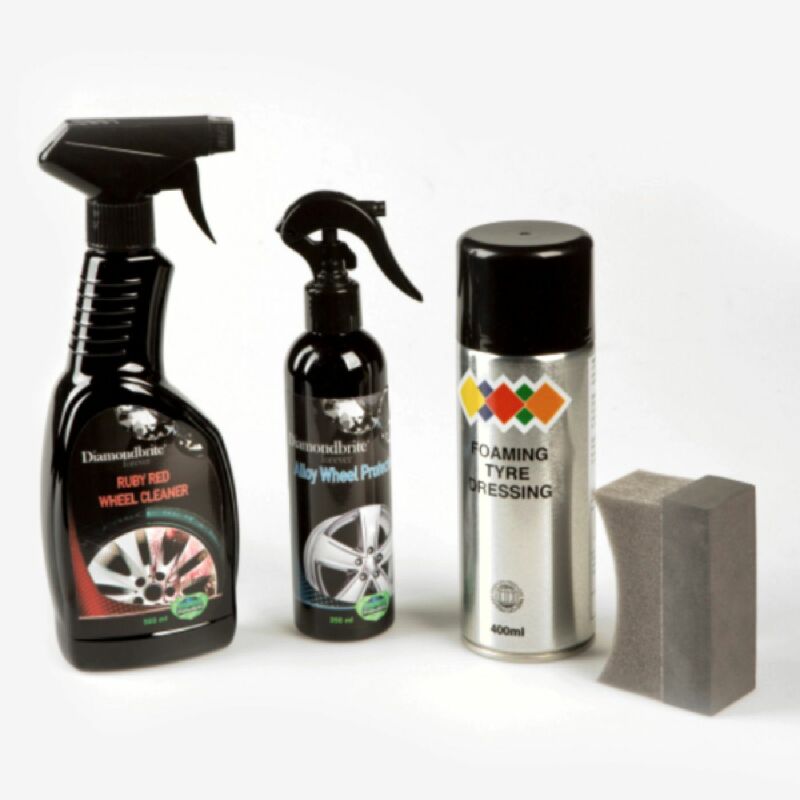 The Wheel Wonder kit is specifically designed for cleaning and protecting the wheels on your vehicle. 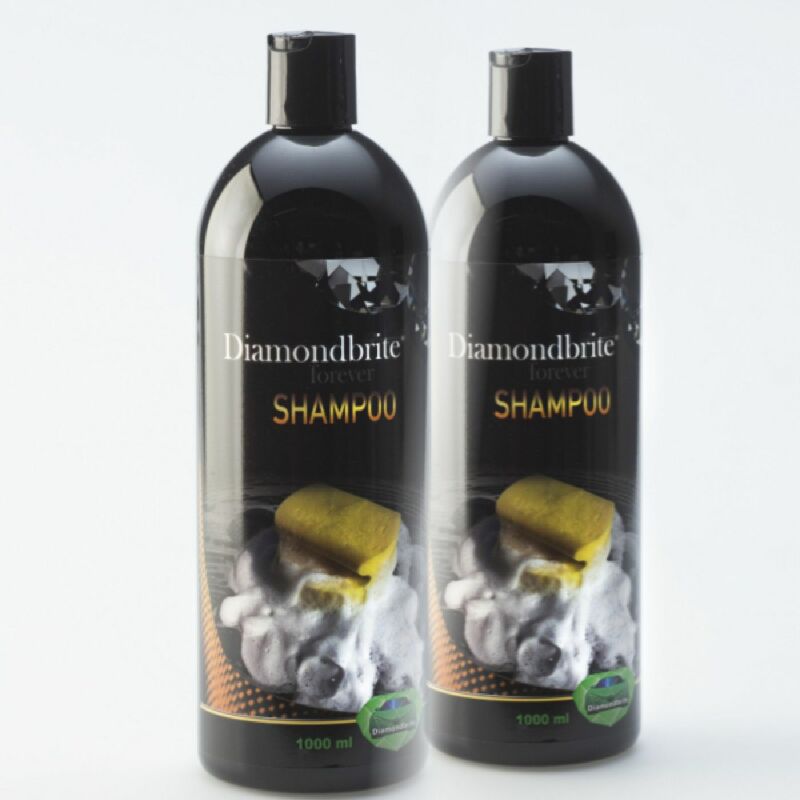 Consists of a 1 litre bottle of Diamondbrite Shampoo & a 1 litre bottle of Diamondbrite Conserver at a discounted price. 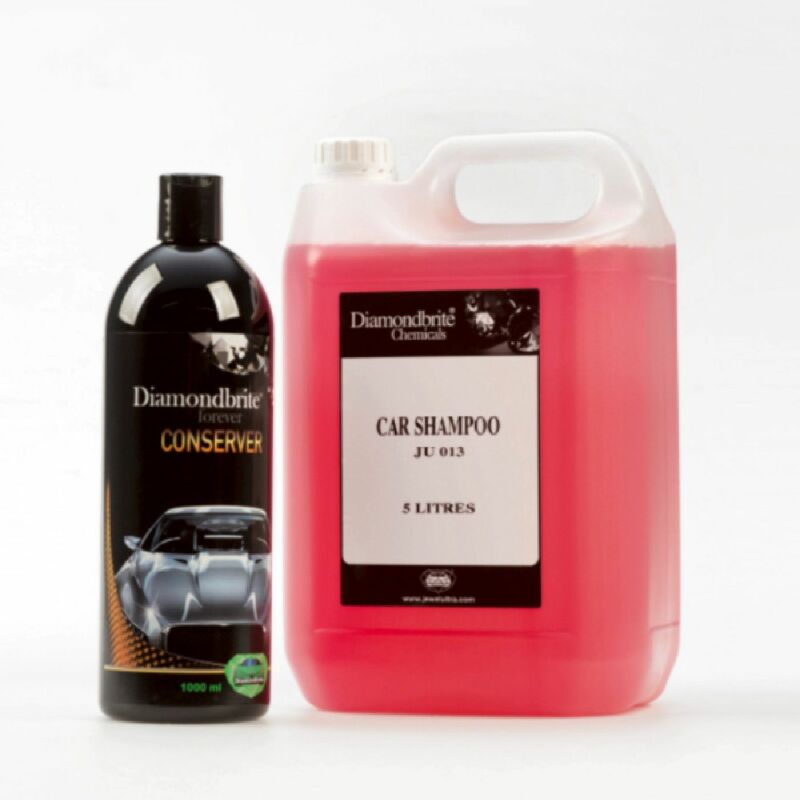 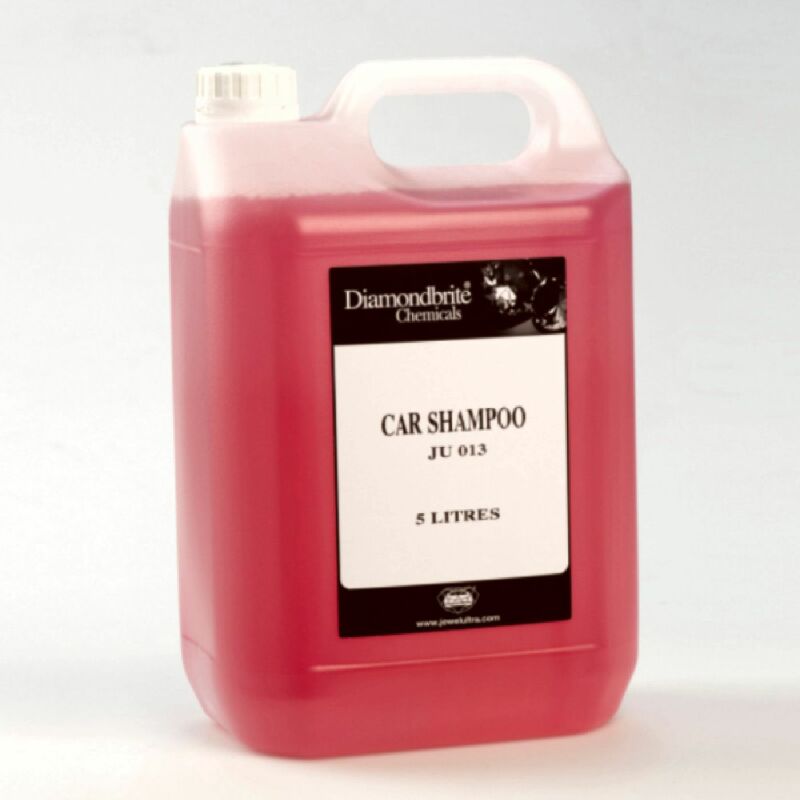 Consists of a 5 litre Diamondbrite Shampoo & a 1 litre bottle of Diamondbrite Conserver at a discounted price.